A look back in time coming forward to today :) When did you first access it? V. T. Eric Layton, Jürgen Christoffel, Sheila Nagig, Steve From TO, Stan Mccann, Doc Edward Morbius, Tiffany Houchin and Icarus Anne Riley like this. My first foray into cyber land was in 1983... 300 baud modem, Commodore64, local BBS. That all passed, though. I didn't do computers/Internet again until about 2000. Been active ever since then. The soul-sucking black box here on my desk (or other versions of it) continues to assist me to waste my life away. Shelenn Ayres and Stan Mccann like this. First contact? In 1984 Arpanet via long-haul connections from Europe and Usenet via UUCP. And then in 1992 "real" Internet connectivity. So 300 Baud, VAXen, later Trailblazer modem with 19200 baud (gasp!) are not unknown to me. Shelenn Ayres and Steve From TO like this. Oh, and bbs since 1985. I think around 1990. There was some kind of school network for things like email. Otherwise there wasn't much. Then AOL and chatrooms were a thing a couple of years later. I still remember how expensive the internet was back then and how slow. 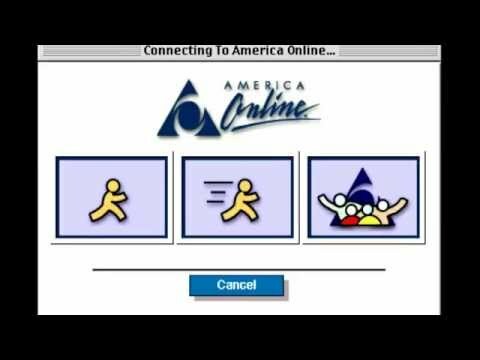 The banshee screech as it connected over a dialup connection. I don't have a lot of technical knowledge or anything, but I've been on the internet about 29 years off and on. 1986 BBS on Amiga 500 with 300 baud modem. 1991 I watched the phone company guy hooking up the lines to connect us (NMSU at Alamogordo) to main campus in Las Cruces, then the main campus guy installing the router. A whole 56 K! 1995 Began running servers in my home. I am not sure of the years. Maybe 1985ish.. I ran a dialup BBS on a Commodore 64. Later I got a beat up old 286 PC Clone, and wrote my own BBS package and some online door games in QuickBasic 4.5. My first experience with the pre-internet was connecting to telnet and kermit at the local state college, and also Delphi / Boston Citynet.. Which was kind of like a large dialup BBS with hundreds of users and message boards connected too other similar nodes around the country. I started tinkering way back when with a TI994A and a black and white portable TV display with a cassette player for storage learning to program in BASIC LOL. Then I "graduated" to the PCJr (loved to play Tracer Sanction and learned to program in Basic-A) before getting a PC. DOS is something I used a lot before the first Windows. I remember Telenet, gophers, and BBS's but I was also learning assembly and octal PDP8's at the college. I did eventually access the University VAX via a 300 baud modem (top of the line at the time) running a terminal emulator launched from Windows - so a bit of ARPANET before the Internet. My first Internet dialup service IIRC was Prodigy in 1988. Ah... I was 21 years old w/ a motorcycle, long-hair, beard, Marlboro hanging out of the corner of my mouth. I was sitting in a friend's tiny apartment with Rock&Roll playing on the stereo while we sat there drinking Jack and playing Zork I on his Commodore. Ah... those were the daze. The first time via a modem, probably 1994. However before then I accessed ARCHIE via Curtain University (then W.A.I.T.) in the late 80s. These are screenshots of a dialup BBS game I wrote in the late 80s' It uses regular ASCII characters and ANSII color codes, and plays like the really old Zelda games. It had a full game editor with a simple scripting language, map editors, etc. It was written in MS QuickBasic 4.5.. But I recompiled it in QB64 as a native 64bit Linux application. Shelenn Ayres and Garry Knight like this. wow lol interesting! That reminds me of a place online where I could find retro games to run inside an emulator. Spider Gates – Hy's Way or the Highway! It was around 1986/87 that I was on BBS and a year or two later on the Internet via cix (Compulink Information Systems). And how things have changed since the days of gopher and WAIS! It's great to see that there are so many 'old hands' on federated social sites. Shelenn Ayres, Stan Mccann and Tiffany Houchin like this. I remember gopher! I discovered it soon after we got our connection to NMSU which gave my (I was Alamogordo branch nights and weekends lab supervisor at the time) computer lab Internet access. I had little to do but ftp (University of Alabama?) and Use-Net. And gopher. When the internet was only .edu or .gov. Shelenn Ayres, Laura Ess and Garry Knight like this. Ah yes, GOPHER. Had forgotten about that! Stan Mccann and Garry Knight like this. Oh, yes, Usenet was the best! Spend an age downloading, but you get intelligent interaction with intelligent, knowledgable people. My early online social life. I was away from the Internet for some years but when I came back I was straight back onto Usenet and then diving into forums. It all seemed to get a bit diluted when the net took off in a big way, but I've never stopped enjoying it. Stan Mccann and Icarus Anne Riley like this. @V. T. Eric Layton Which client do you use? Or is there a web portal? Garry Knight, Stan Mccann and Icarus Anne Riley like this.